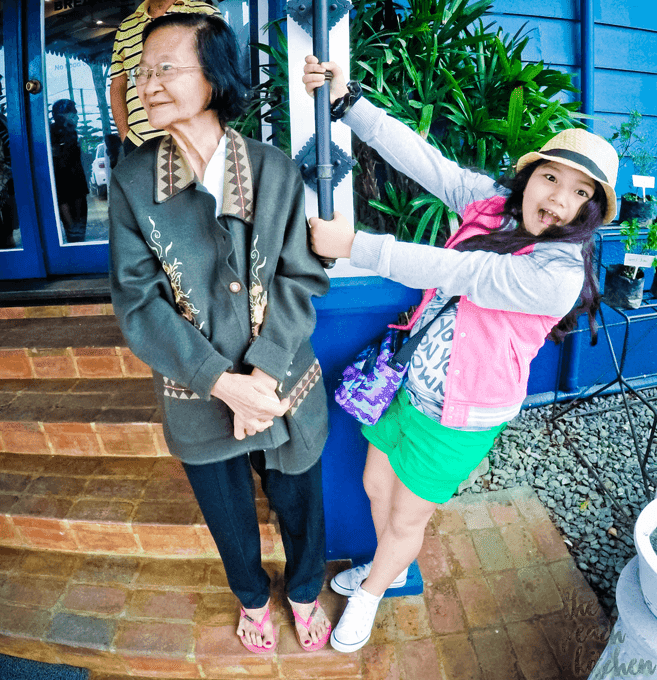 Last Sunday was my nanay’s post-birthday celebration and we took her to Tagaytay. 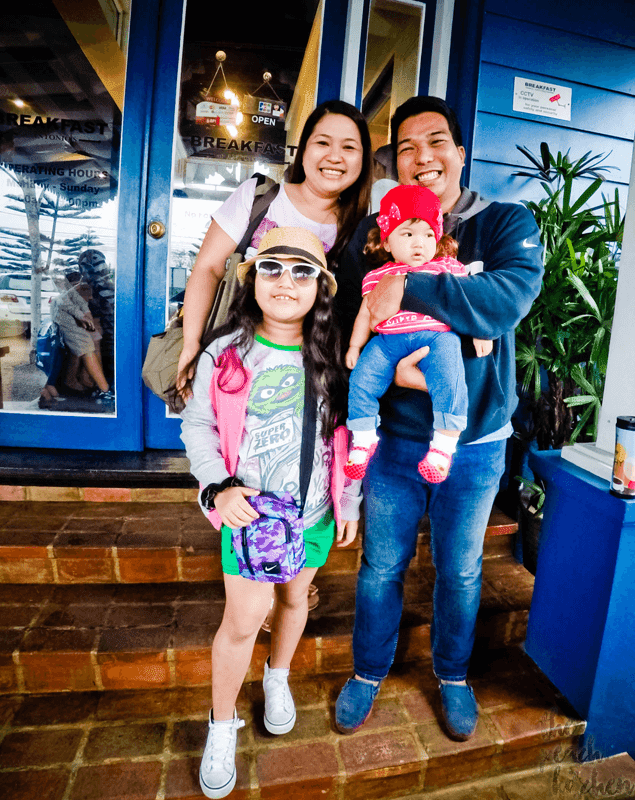 She’s not fond of traveling and going out when she was younger — she was a workaholic. 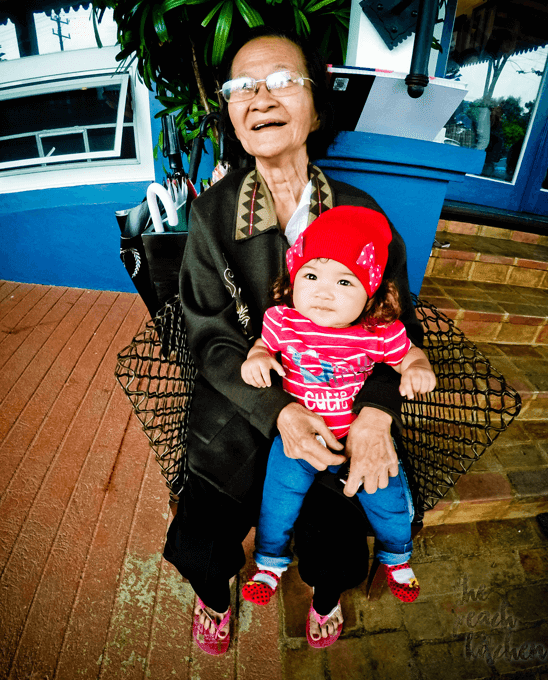 Now that she’s 76 years old, it’s easy to persuade her to come with us. We left Caloocan early in the morning, anticipating the traffic that the long weekend will bring. Our first stop? Breakfast at Antonio’s, of course! 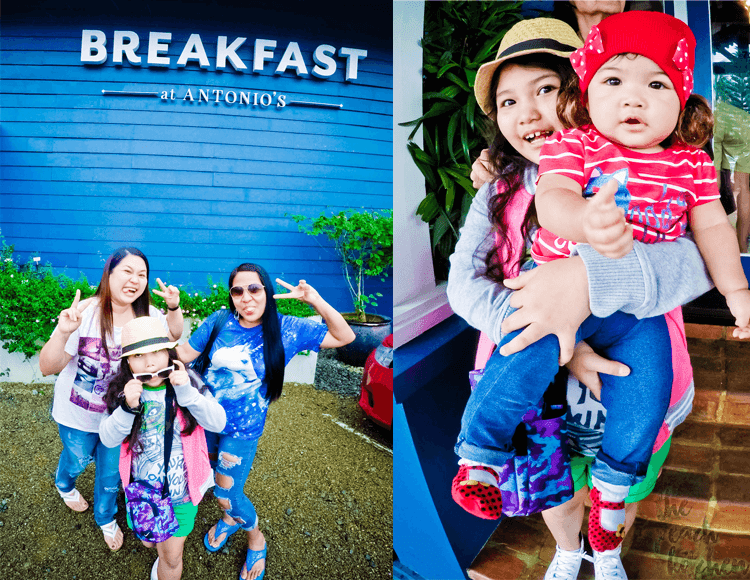 It was our second time at Breakfast at Antonio’s, the first time was three years ago during one of peanutbutter♥‘s vacation. Ykaie was still a baby back then. 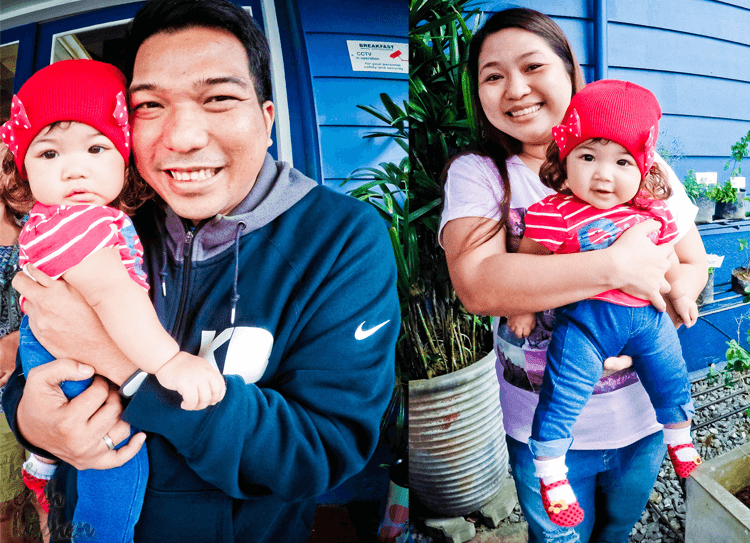 Now, that we’re back.. we have another baby in tow and it’s her first time evah in Tagaytay. We look like a nice bunch of people, eh? We arrived at Breakfast at Antonio’s at 8-ish o’ clock and we were number 13 on the waiting list. There were a bunch of families in line waiting to be seated. 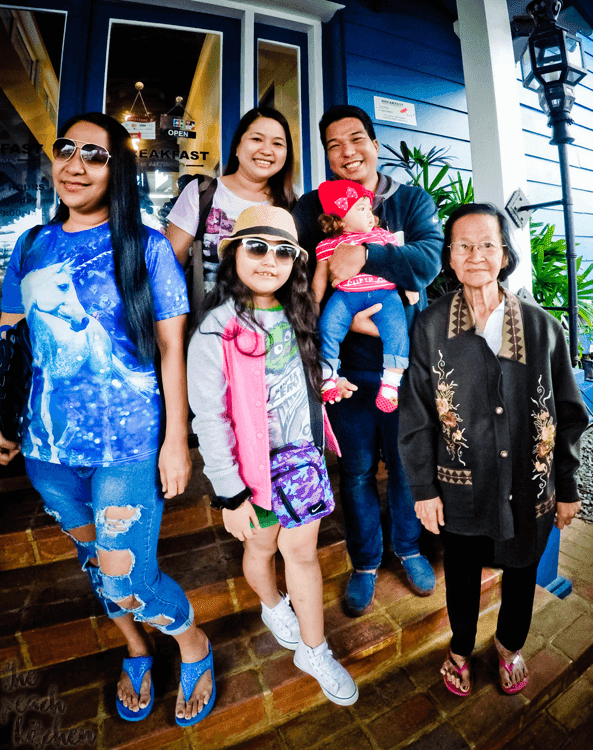 We took this as an opportunity to take many pichures with nanay who’s a bit camera shy….and of course, with Twinkle and her curly hair. 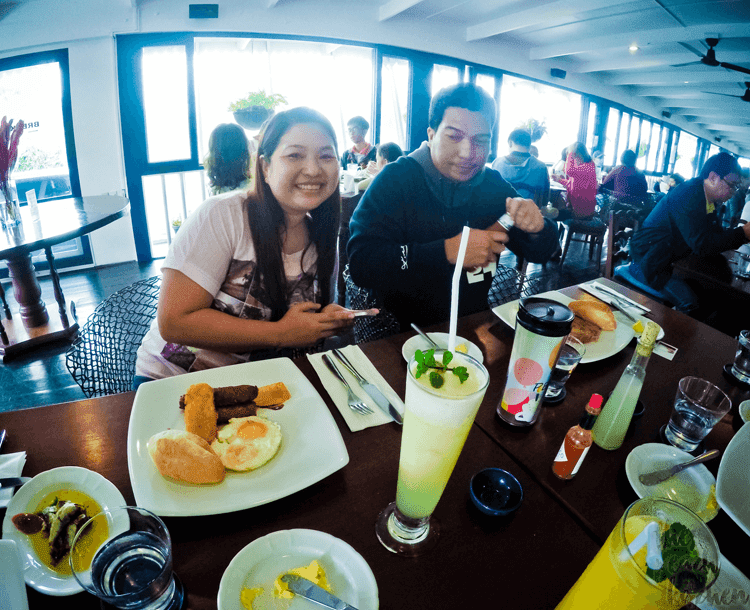 An hour passed by and we were seated with nice smelling breakfast on the table…..
Well, sis and I had the Housemade Chorizo (₱375) which was served with your choice of hashbrown, garlic rice, or baked potato, housemade toast and two eggs done any way you want. My eggs were sunny side ups, of course. I am and always will be a runny yolk lover. Those fresh, fatty, red, flavorful chorizo are something to be crazy about. It’s a bit spicy and had that dry, chewy, smoky thing I am looking for in my sausage. Nanay and peanutbutter♥ chose the House Meat Loaf (₱350) which was served with a drizzle of gravy on top, hash brown, housemade toast, and two eggs done any way you want. peanutbutter♥ wasn’t too happy with his meatloaf because he prefers meatloaf to be fried after being baked. 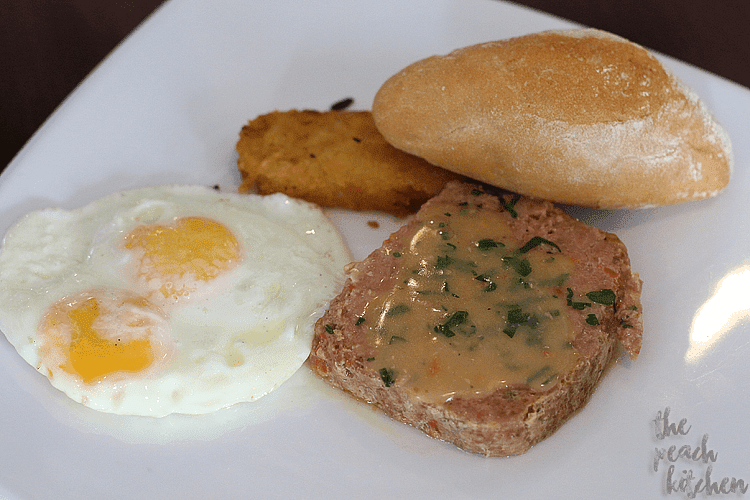 I was too happy to trade him one of my chorizos with half of his meat loaf. It was juicy and meaty!! I think I was the winner in this trade. 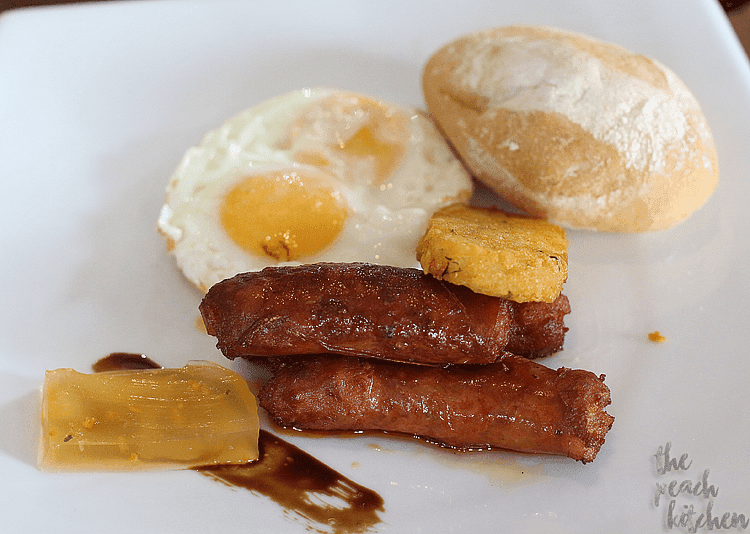 Ykaie had the Housemade Sausage (₱375) with hasbrowns, scrambled egg, and housemade toast. 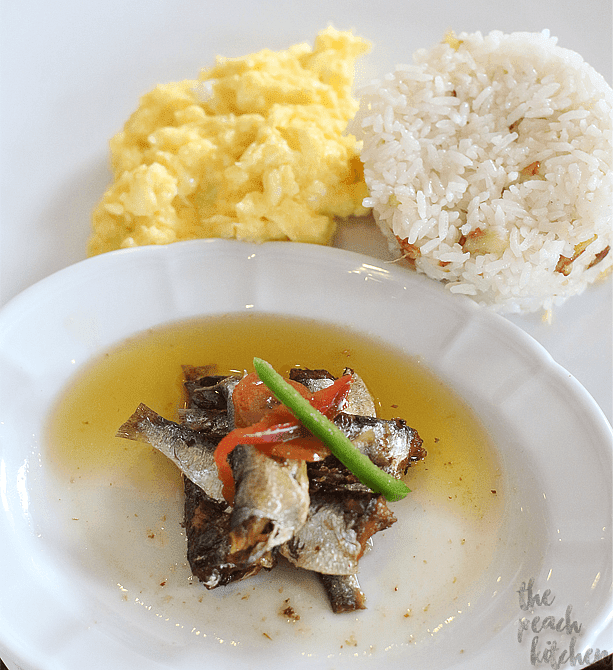 Rome’s order wad the Spanish Sardines (₱330) and he had it with garlic rice and scrambled egg. 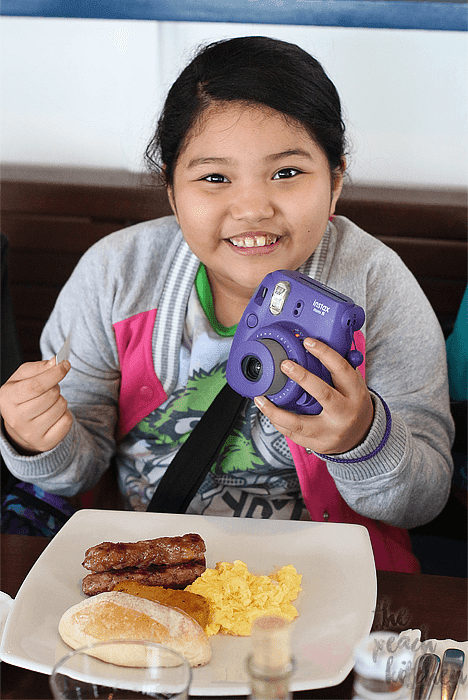 Nanay, Ykaie, and their orders. 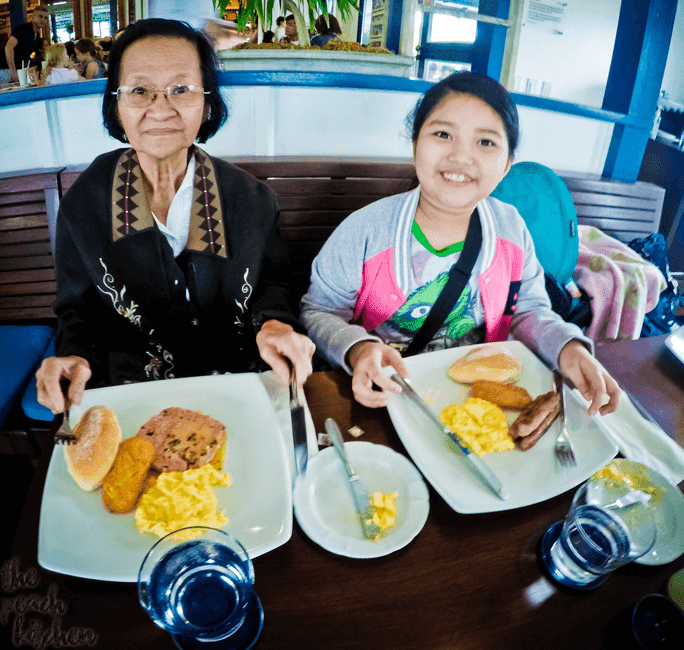 The serving was big and it was too big for Nanay that she shared some of her food with us. 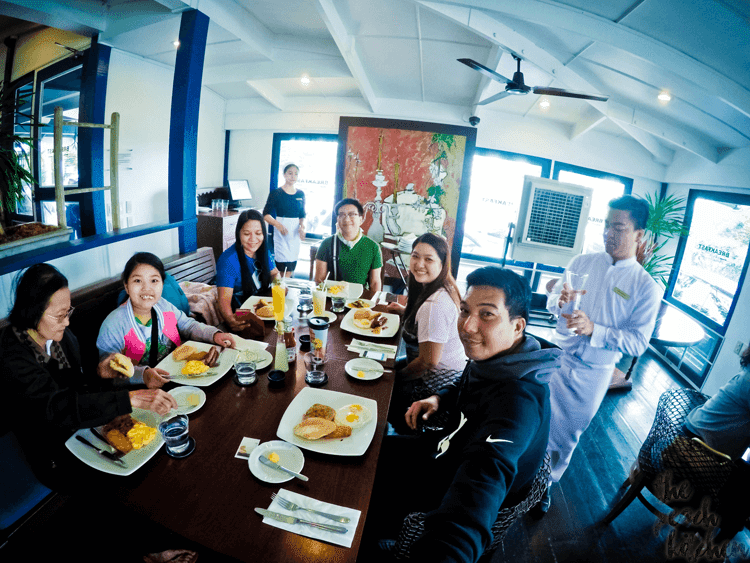 Breakfast at Antonio’s is located along Aguinaldo Highway, Barangay Bagong Tubig, Tagaytay City, Batangas. 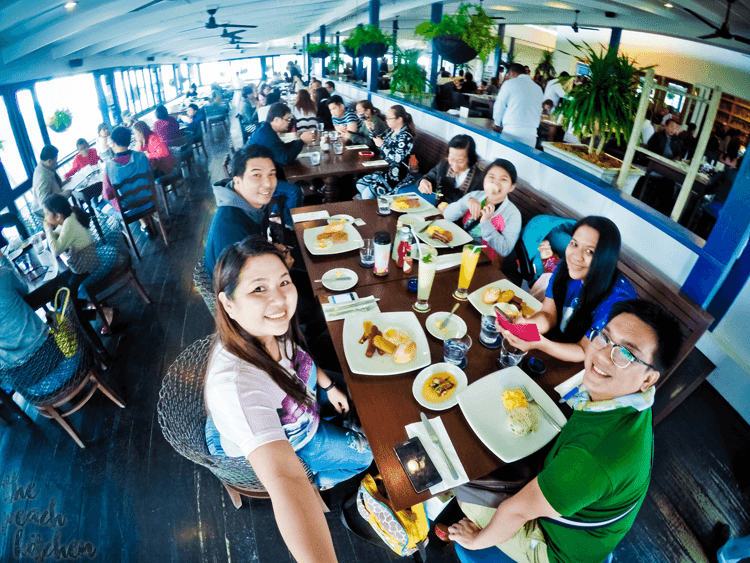 Antonio’s is one of the most recommended resto sa Tagaytay. 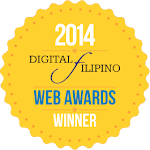 Wasn’t able to try it because hindi kasya sa oras namin. We were in a hurry but we loved our brief stay there though! I’ve haven’t been to the place yet but the food looks awesome! Those spanish style sardines are so mouth watering! Happy to see your family had so much fun. Bilis lumaki ni bunso mo Peachy. Looks like one yummy bonding with the family. Nice snaps sis. 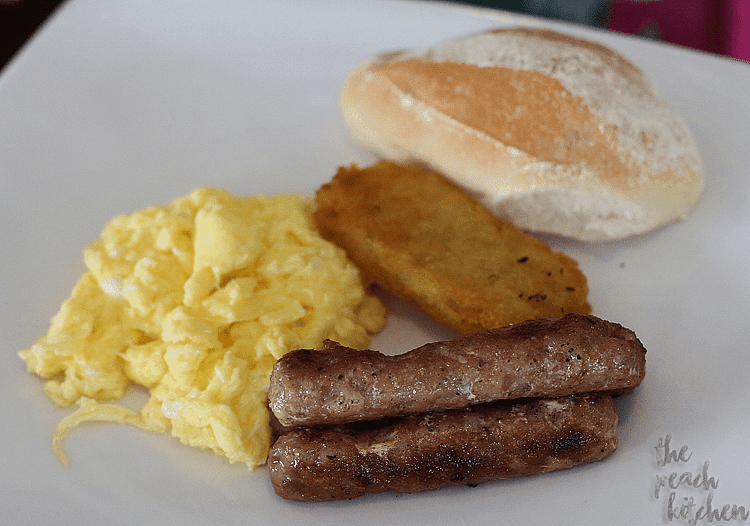 I miss having breakfast back home. 🙂 Seems like a cozy place to have a nice meal, watching the view. 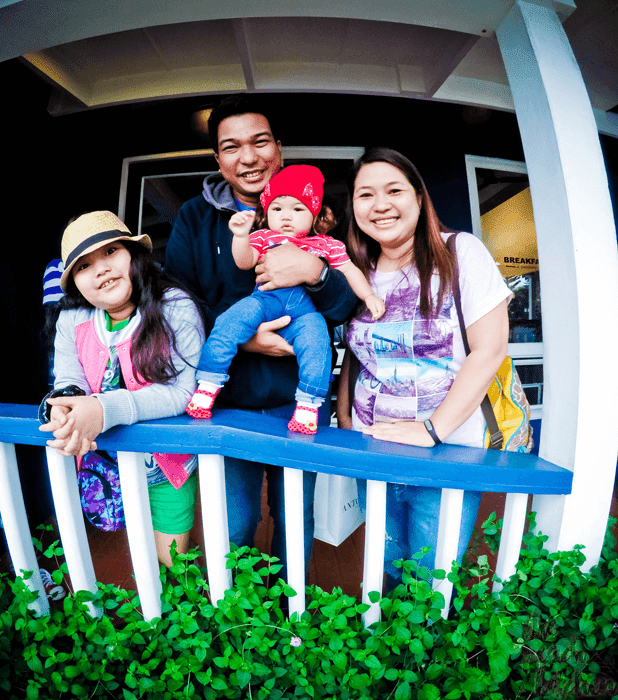 Yes, it is one of the coziest places in Tagaytay. This restaurant is so accessible from our place. 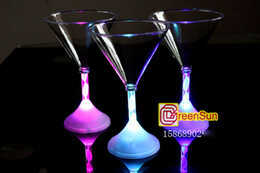 We have got to try this. Oh you just have to! Will definitely go there for breakfast on our next vacation. The food looks so good. I’m sure you’ll love it there.